Majorda beach is one of the popular beaches of Goa situated in the southern part of Bagmola. It comes in the Salcete Taluka. Margao is the nearest to the beach and only near about 6km away from the beach. As many of southern beaches of Goa are tranquil in comparison to the northern beaches, so also the Majorda beach being the beach located in southern Goa sustains it tranquility. One can find many small villages near the beach and the beauty of these hamlets surrounding the beach gives a unique experience to the tourists. The beach is really a great place for nature-watching and introspection. Sitting on the beach for hours gives peace of mind which the hustle and bustle of the city can never give to its refugees. Becoming a refugee of Majorda beach brings great deal of tranquility to one’s mind. Reviving and rejuvenating oneself is easier here at the Majorda beach. Though it is a peaceful place where one can find nature-laden beauty, there are some beach resorts who arrange some of the water sports for the tourists. It is a place for nature enthusiasts but with the assistance of some of the beach resorts the adventurous spirit can also satiate the need for exploring the sea and sand. There are other things one can visit to stay engaged on the beach. The religious center of Majorda is Mae de Church. It is said to be built in 16th century. One can also visit the Betalbatim beach located only 5km away from the Majorda beach and that falls on the border of Colva beach. Enjoying sea food during the Majorda beach visit can be another option that tourists love to reveal. The shacks and restaurants located near the beach are the right place to reveal the taste of Goan food. The sea food cooked in the Goan style is really mouthwatering. While the serenity binds the nature lover to the beach, the foodies can get their taste buds revived at Majorda beach as well. Accommodation is not a major issue near Majorda beach. One can find many budget and luxurious accommodations near the beach and on the beach road. One can reach Madgaon station and then hire taxis and local buses to reach Majorda. 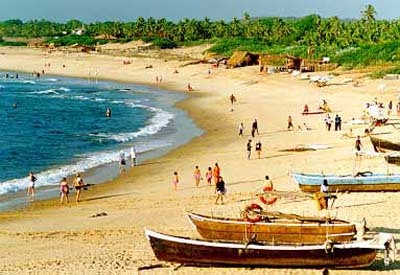 NH17 also connects the beach with major cities of Goa. The nearest airport is Dabolim and it is only 26km from Majorda beach. 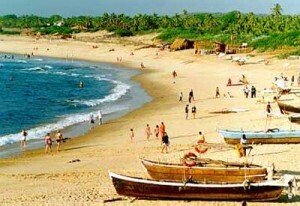 One can hire taxis from the airport to reach Majorda beach.